Microsoft Visual Studio Code for Linux. What do you think? 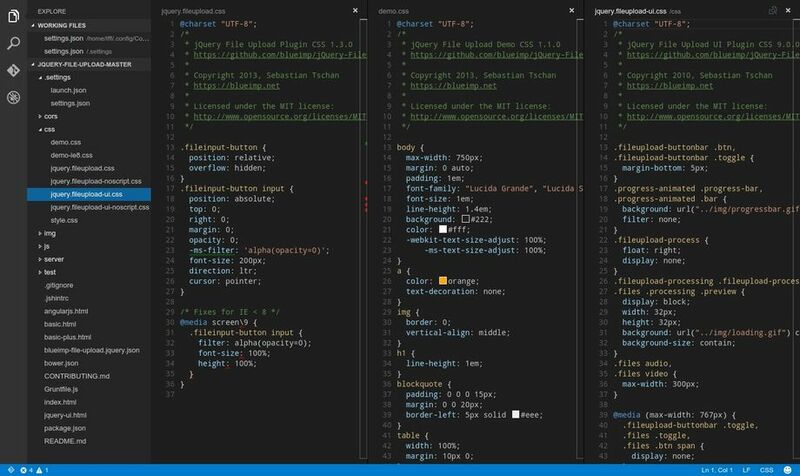 A few days ago, Microsoft released Microsoft Visual Studio Code, a new development tool for Windows, Linux and Mac OS, mostly focused on web development (ASP.NET and Node.JS) even if, it has a base support for the most used languages as HTML, CSS, C# or TypeScript. Microsoft Visual Studio Code, as opposed to the original Visual Studio for Windows, is not a complete integrated development environment containing an its own compiler and typical tools of this kind of development environments but it’s simply a code editor like sublimetext, atom, kate or brackets. At the moment I’ve not tested this new code editor but I think it may be interesting to give it a try even if I don’t think it will become my default code editor. Microsoft Visual Studio Code, at least for the moment, isn’t an open source project so we will not see it on the most of the Linux repos. So, we need to download and install it from the project page. What do you think about Microsoft Visual Studio Code? It was really necessary? It’s simply marketing or Microsoft may be interested in Linux developers? > Download Microsoft Visual Studio Code.